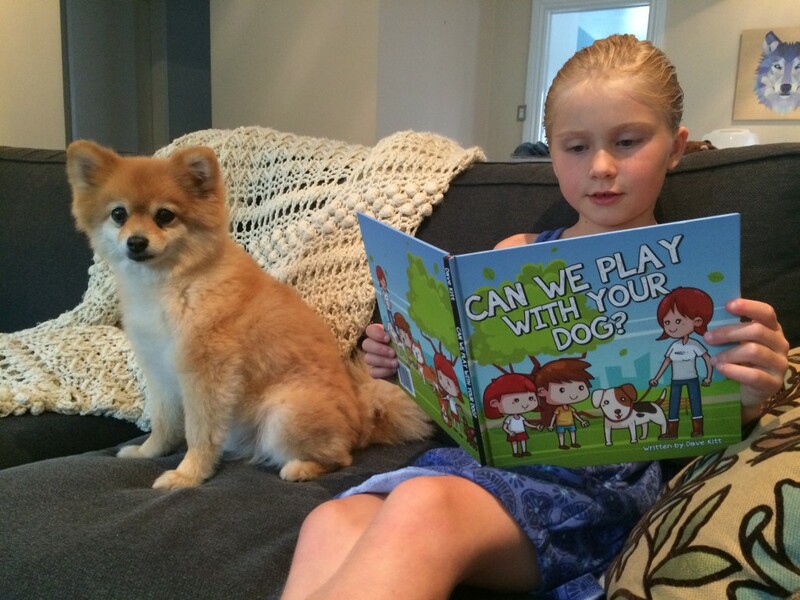 Book Review: Can We Play With Your Dog? Can We Play With Your Dog? is a fantastic tool for teaching children about safety around dogs. I recently got my hands on a copy of Dave Kitt’s Can We Play With Your Dog?, a smartly-written (and to-be-published) story designed to teach children about the proper way to approach strange dogs. Dave’s twin girls – and his creative passions – were the inspiration for this book. As a former preschool teacher and owner of a rescued dog, I can’t say enough about how timely this book is! My dog Jordy, though adorable and lovely, has a lot of baggage. He’s often nervous and nippy around strangers that decide to thrust their hands in his face. One of my biggest frustrations is children whose parents have yet to show them that any unknown dog is just that, strange and unknown. No two dogs are alike, and this book beautifully illustrates the differences one dog has from another. The book provides an engaging and educational way to show children safe behaviours around dogs by respecting both the dog and the dog’s owner. 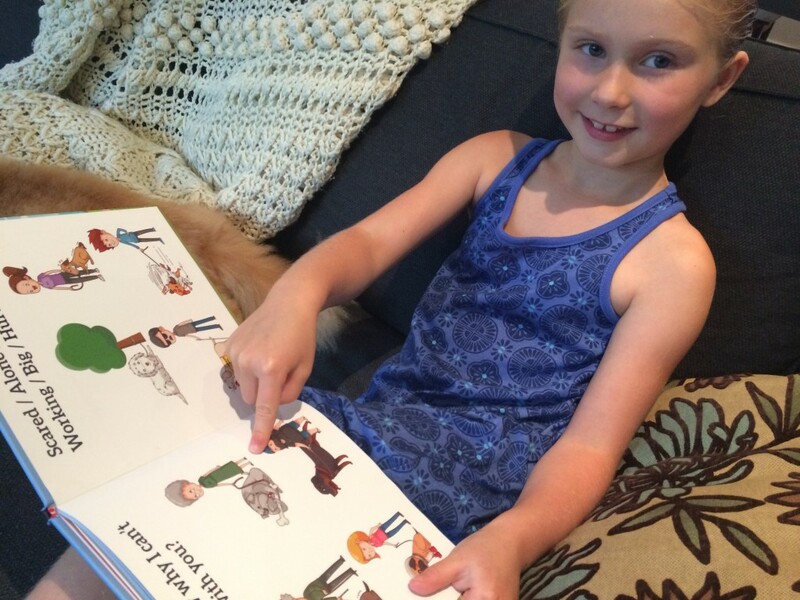 At the end of the book, children are presented with a matching activity that helps them recall what they learned in the story. It would also be a great opportunity to expand on the story’s theme with self-directed art work, a felt board story version, or a tangible matching game with cutouts. That said, my views and opinions on the book only carry so much weight. That’s why I asked my seven-year-old niece to read the book and provide her thoughts on it. She was more than happy to oblige! Dave is soon launching a KickStarter campaign to get this book published and in the hands of kids. For more information on Can We Play With Your Dog?, visit the website. You can even sign up for updates and receive a free PDF copy of the book! Want to win my exclusive copy? Leave a comment below and tell me who you’d share this book with. I’ll draw one winner at random on Friday, July 21st.